Le Grand Bornand is a picturesque ski village in the heart of the Aravis mountains, easily accessible from Geneva airport just an hour away. 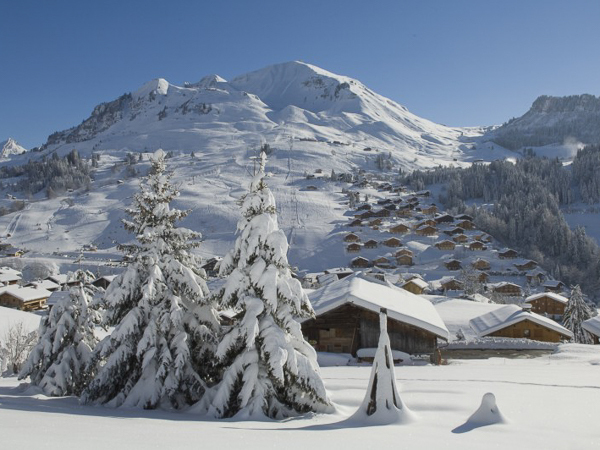 A charming resort with great snow, quiet pistes and lovely views make it an ideal ski resort for a short ski break. Friendly, accommodating locals, great on-piste value, plus an easily accessible and varied ski terrain, are leading to more and more UK based skiers discovering the charm of this traditionally French ski resort. With its conveniently located beginners area, 16 green runs, 13 blue, 14 red and 3 black runs, along with a large free-ride area, challenging off piste and a renowned snow park, this resort really does have something for everyone. Grand Bornand’s picturesque village is steeped in history and full of traditional alpine charm, yet despite being only an hour from Geneva airport it enjoys amazingly quiet pistes, particularly mid-week! With its dependable snow record and modern lift system, the skiable terrain accommodates all level of skiers, from beginners through to advanced free riders. 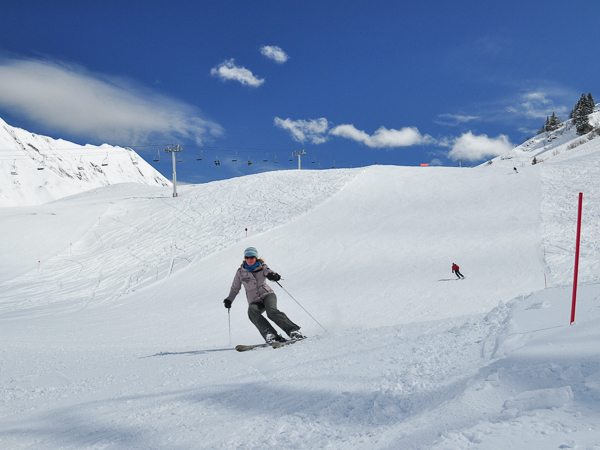 The area has a particularly good beginner’s area, making the area an ideal resort for family skiing. With skiing up to 2100m, extensive snow cannon coverage and mainly north-facing slopes, you can ski Le Grand Bornand each year from mid December until the end of April. Coupled with the sister resort of La Clusaz (10 minutes by ski bus), skiing in the Aravis offers an extensive 220km of piste – all our holidays include a lift pass for the full Aravis ski region. 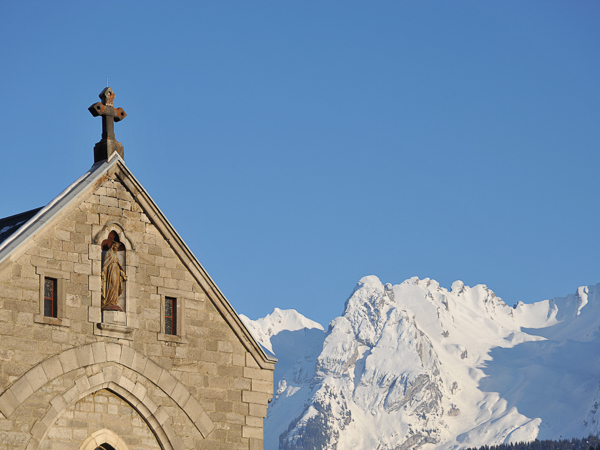 Located in St Jean de Sixt – Stay here for our classic catered chalet experience. Our home base and longest-running location, the Aravis Lodge is a sociable chalet-hotel with everything tailored to give you the most skiing with the least hassle. 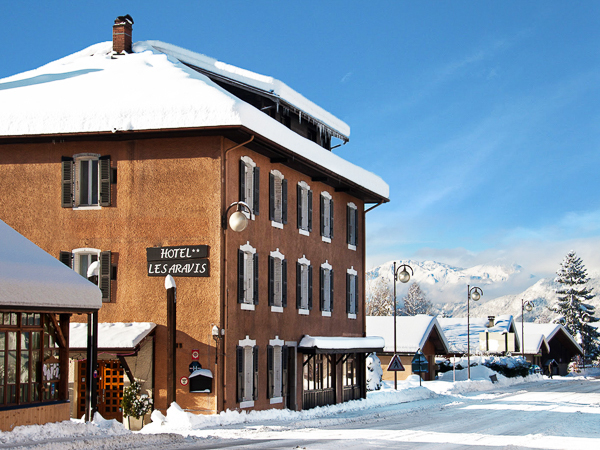 A traditional Sayoyard hotel right in the heart of the charming village of Le Grand Bornand village, Hotel Point Percée is a 20 bedroom hotel conveniently located for easy access to the village, slopes and everything the resort has to offer. 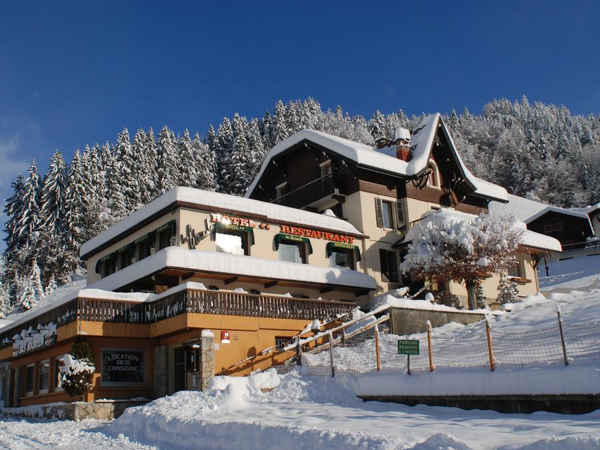 The perfect location to ensure you have maximum time on the slopes, Les Glaieuls is a small cosy hotel in a quiet location at the foot of the slopes in Grand Bornand. 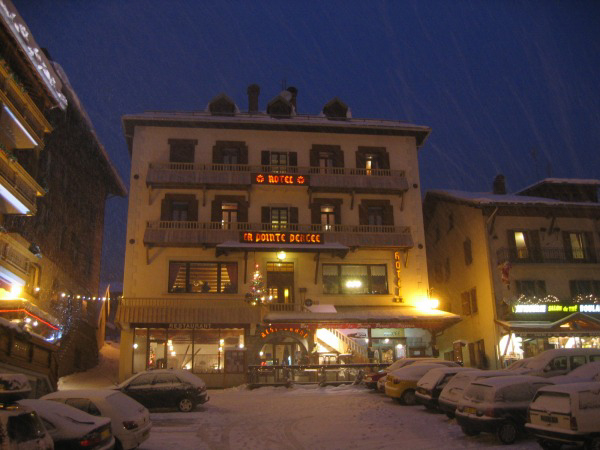 A ski-in / ski-out hotel it offers renowned food, on-site ski hire and friendly service. 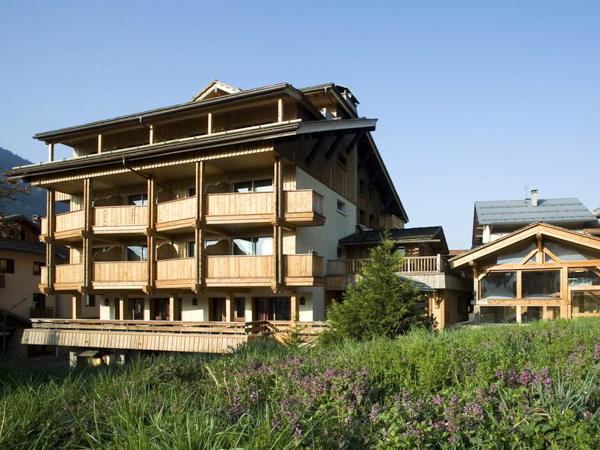 Located in the heart of Le Grand Bornand village on the way to the ski slopes, Chalet Les Saytels is a spacious 4 star hotel which offers the most extensive leisure facilities in the village.